Not Running a Hospital: In memoriam: John Costa, Sr. There are thousands of these stories across the county--and indeed, in every country--but this one left me with a warm feeling, and I thought you might like to see it. There is a local company, BC Tent & Awning, that provides tents to people for weddings and other celebrations. We used them for a family affair a couple of years ago, and they were lovely. Well, we're now on the mailing list, and we recently received this note about the death of the family patriarch, John Costa, Sr. Beyond telling John's story, it presents a microcosm of a certain period in recent American history: This was an era in which, without question, complaint, or entitlement, everyday people provided service to their nation, their communities, and their families. 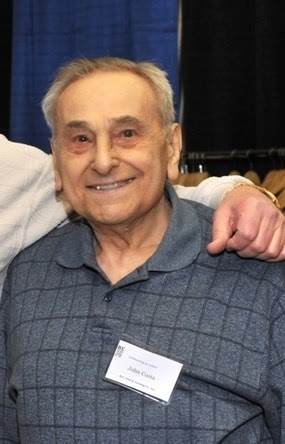 It is with a heavy heart that we share news of the passing of Bob’s father John Costa Senior. Mr. Costa was a hard working family man who touched the lives of so many people in his 101 years on this earth and B.C. Tent would not exist without him. Bob always credits his parents as the true founders of B.C. Tent & Awning. The company started in his parent’s garage here in Avon. Bob’s parents were in their 60’s and would answer phones, send out invoices, help with installations, clean the tents, sew the drop cloths and much more. The only compensation they wanted was knowing they were part of the success of their son. Well into his 80’s Mr. Costa worked periodically in the warehouse alongside people who were a quarter of his age. In his 90’s and 100’s he continued to visit the office and brighten the company with his personality and spirit helping the company stay relaxed during our busy seasons and entertained in our off seasons. Mr. Costa graduated from Mechanical Arts High School in Boston as the first high school graduate in his family. Over the next few years John began dating Constance Helene Smith and juggled his day job at the water meter company with playing music with the Jackie Ford Band. 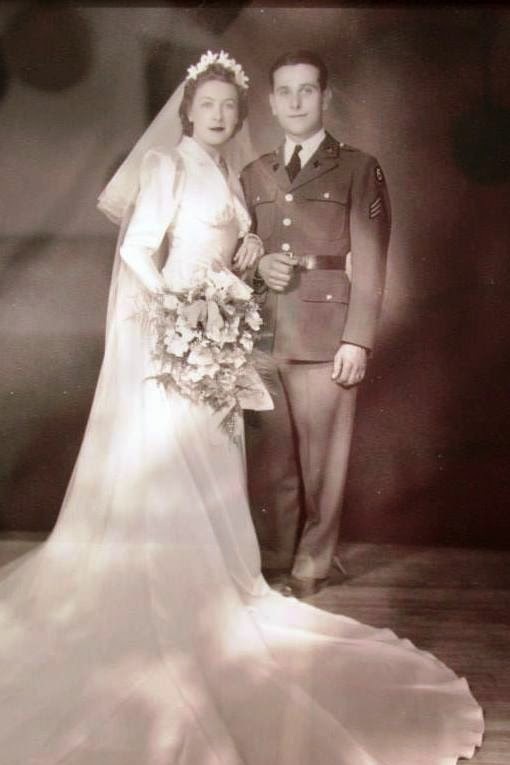 John was drafted into the US Army in 1941 and expected to be discharged by the time of his planned spring 1942 wedding. After Pearl Harbor the wedding was rescheduled to Dec. 28th 1941 and his stay in the Army was extended. Serving in the war, John was stationed in Ireland, England, Algeria, Morocco, Italy, France, Belgium, and Germany. 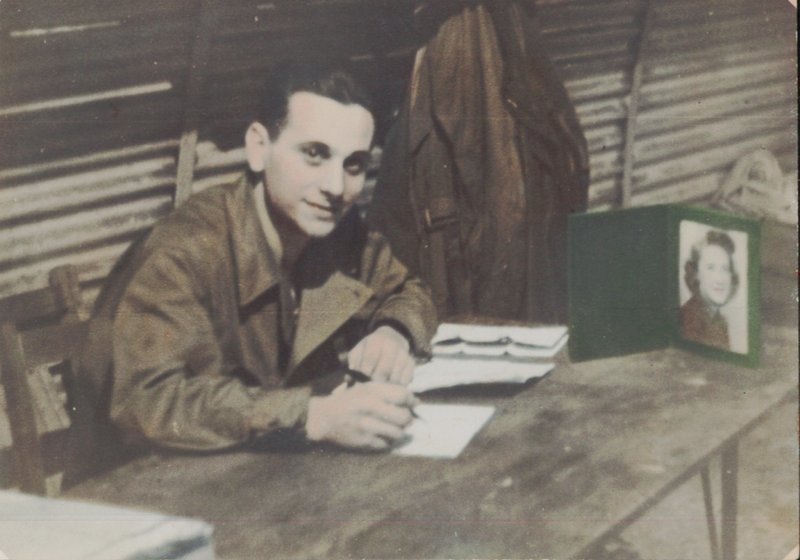 During his military duty John documented his experience with journals, photographs, and letters to his ‘darling’ Connie. After returning from the war, John and Connie started a family and settled in Avon with their 4 boys John, Paul, Donald & Bob. John often worked 3 jobs during this time. He spent his working years with the United States Postal Service, the Army National Guard as well as working as a custodian at Avon High School and even working as a Driver Education Instructor. John retired in 1980 but quickly found a new project providing skills and guidance to his son Bob’s newly formed B.C. Tent & Awning Company. In 2011, the company was proud to honor John and his contributions to the company by inducting him into the B.C. Tent & Awning Hall of Fame and presenting him with the Golden Sledgehammer award. We also created a John J. Costa Training Center in December 2014. Mr. Costa helped shape not only the company but all the individuals that he came into contact with through the years.